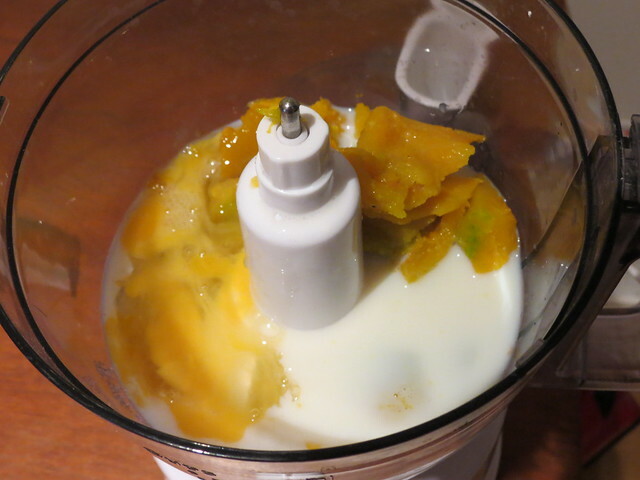 For my final recipe of the year before I take a little break I wanted to do something seasonal, so I decided to make Kabocha Pudding (かぼちゃプリン). 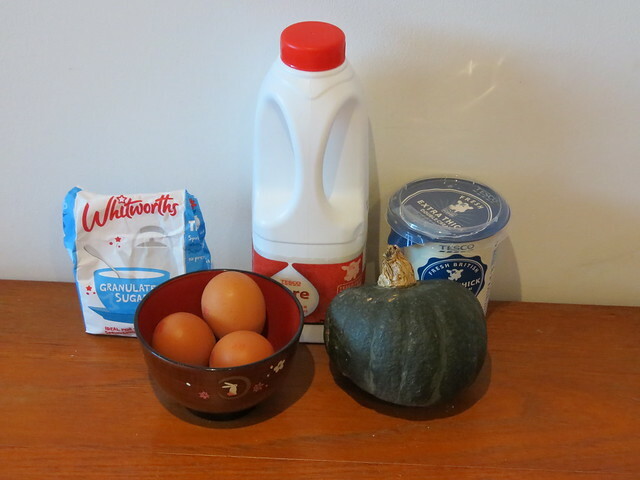 Kabocha is a kind of Japanese pumpkin, and it’s quite different to British pumpkins which are usually large and orange. 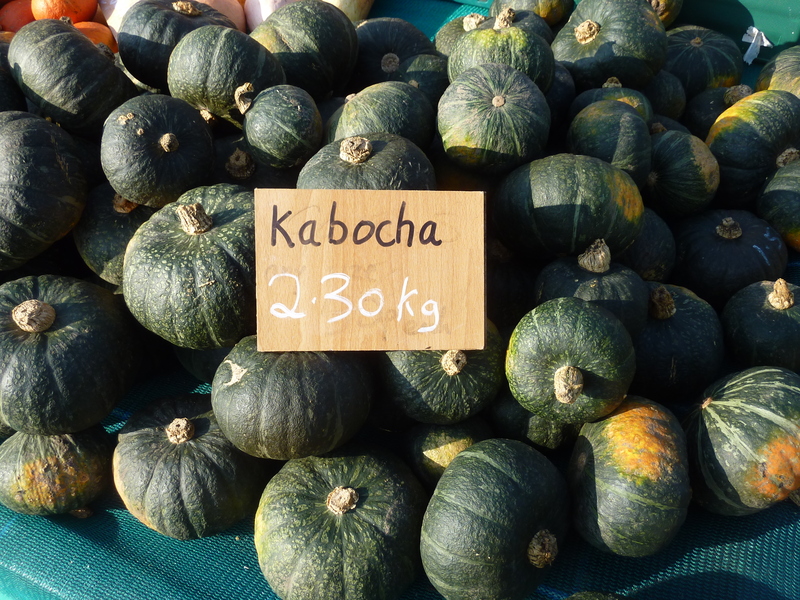 Kabocha are small and dark green, and they have a sweeter flavour. Luckily, my mum happened to go to the Slindon Pumpkins display, and she picked me up a couple of kabocha there. Now, I have to confess this recipe did go a little wrong. The pudding part was ok, although I think my mixture scrambled a little bit (it tasted ok but I think Mary Berry wouldn’t have approved), but it was the caramel I really had trouble with. 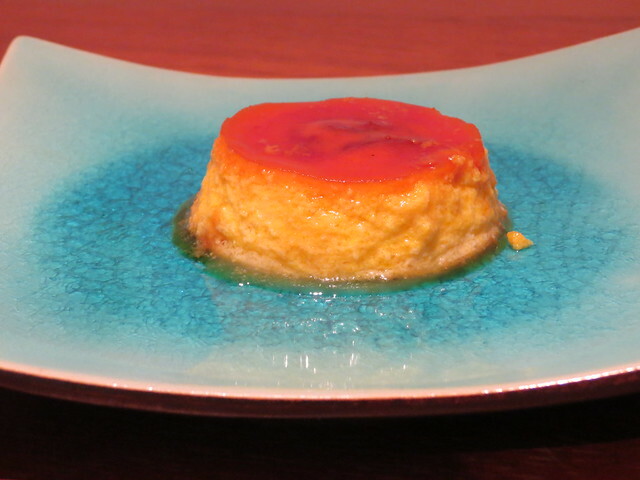 I started with a Cookpad recipe for ‘Extremely Simple & Really Delicious Kabocha Pudding‘, but after a few failed attempts at the caramel I searched online for other options. I referred to this YouTube video from OCHIKERON and also this ‘How to make caramel’ tutorial. The end result was edible, and tasted quite nice, but would have won no awards! 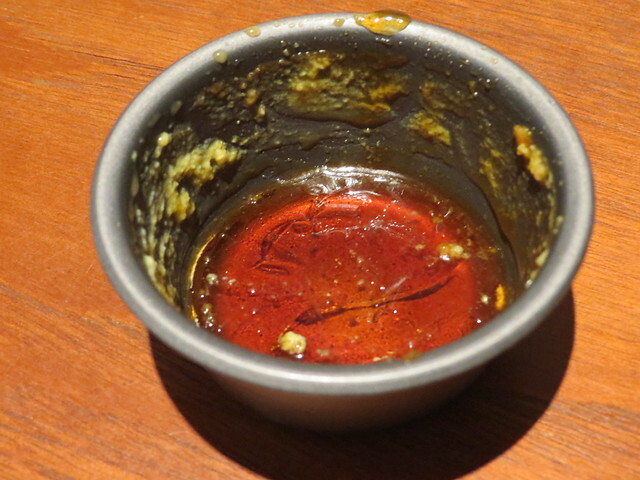 I’ll have another go sometime – I’m determined to master caramel! 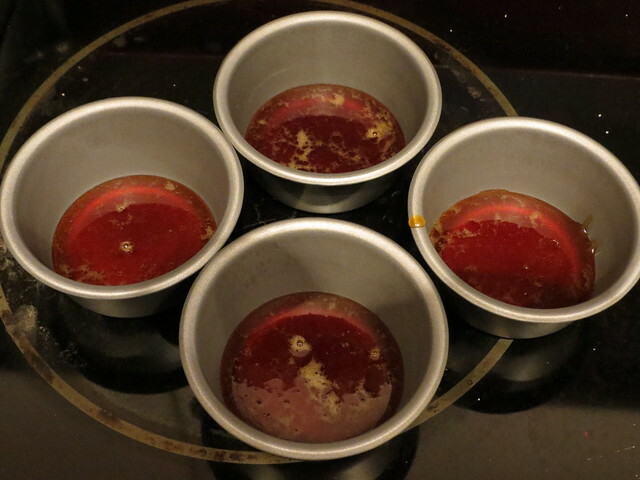 *Measurements in cups because I ended up making successful(-ish) caramel from an American tutorial. Make the caramel first. 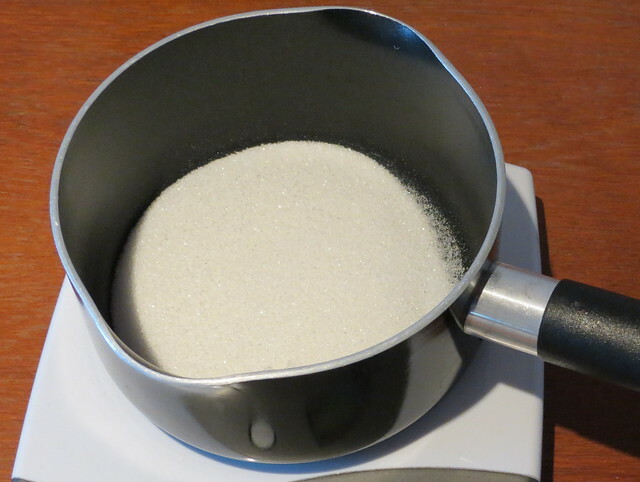 Place the sugar and water into a pan and heat. Don’t stir the mixture, but you can swirl it in the pan. 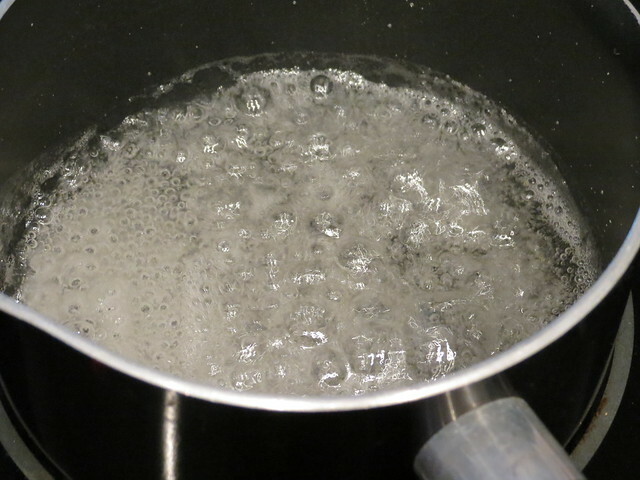 Use a pastry brush dipped in water to brush down the edges of the pan. When the caramel mixture starts to change colour, keep a really close eye on it as it could suddenly go! 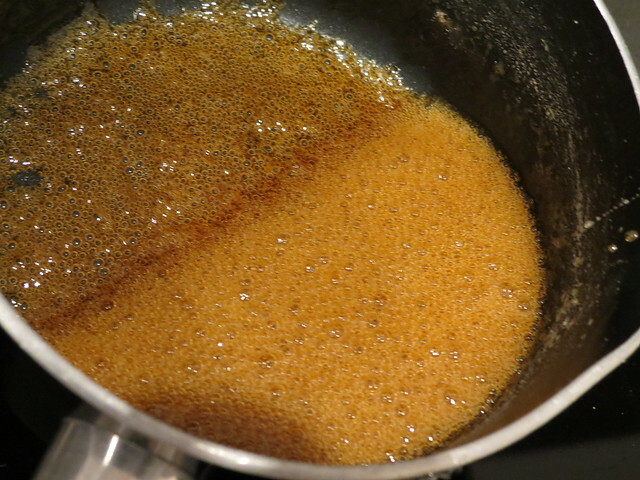 Wait until the caramel goes a dark amber colour, then remove from the heat. Pour into your pudding mould or moulds. 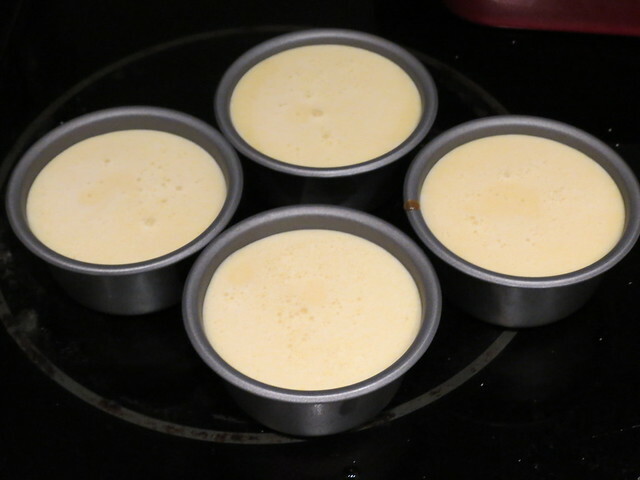 I decided to make individual puddings rather than one large one. The caramel solidifies really quickly. I don’t know what I should have done differently, but after all of the effort it took to make the caramel, a lot was wasted when I served the puddings up. Anyway, on to the pudding. 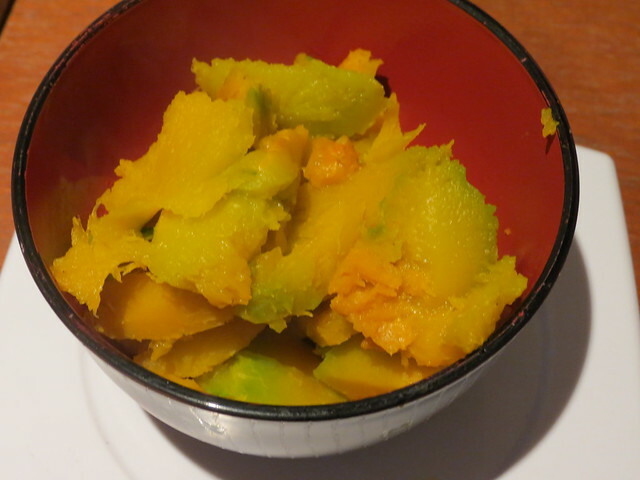 Cut the kabocha into chunks. 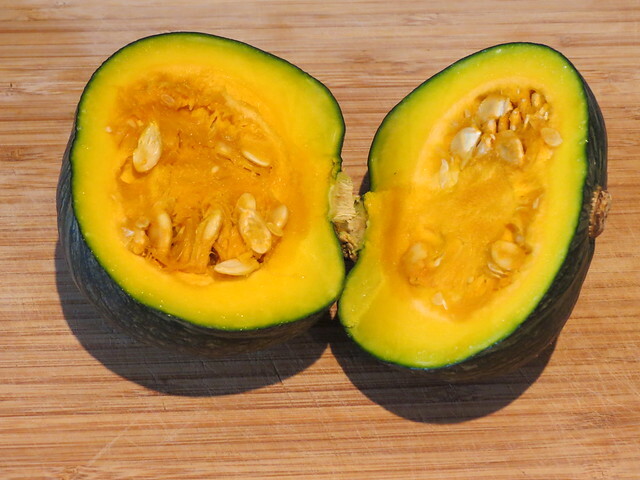 The skin of the kabocha is edible too, so we’re not going to worry about trying to peel it at this stage. 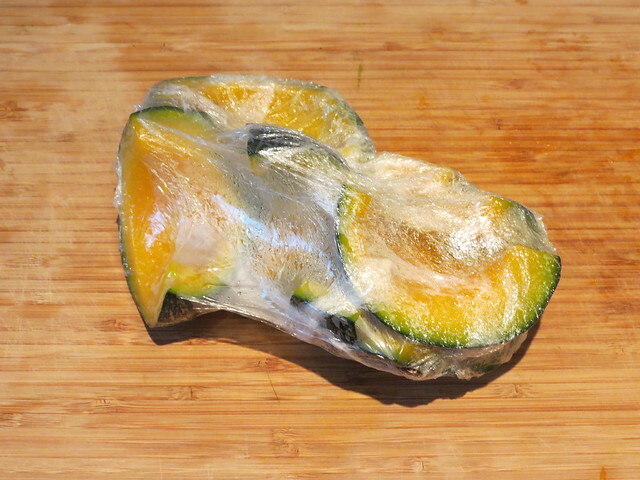 Place the chunks of kabocha in clingfilm and microwave for 4 or 5 minutes. Unwrap and remove the flesh of the kabocha from the skin. 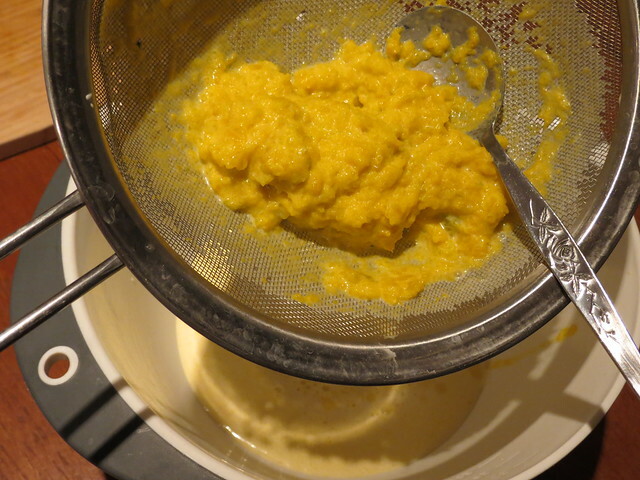 Place the kabocha, sugar, 2 whole eggs and milk in a food processor or blender and mix for 2-3 minutes. 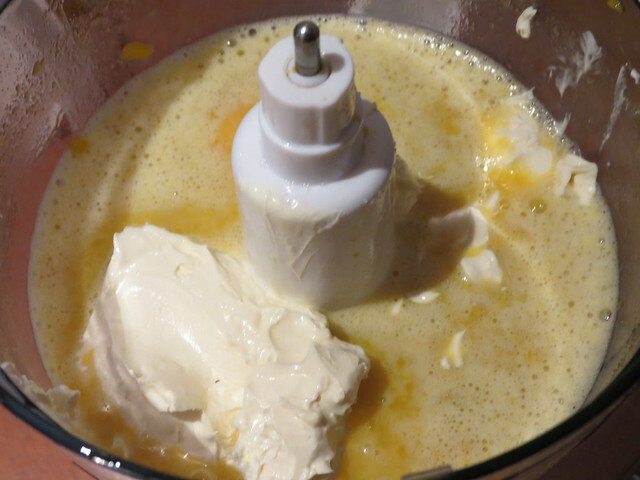 Add the cream and egg yolk and blend. 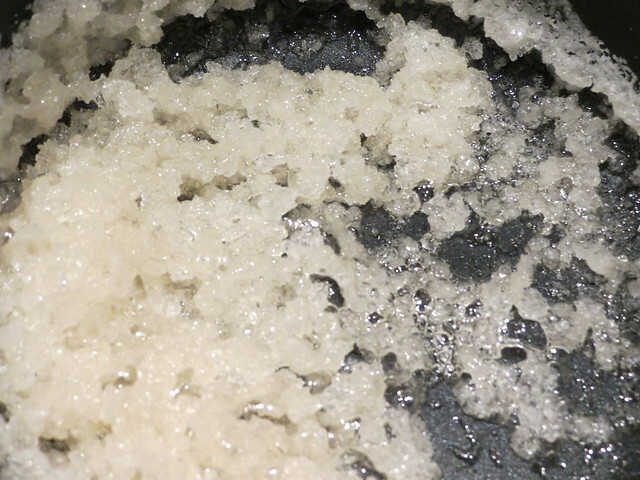 Sieve the mixture to remove any lumps. Pour into the pudding moulds. 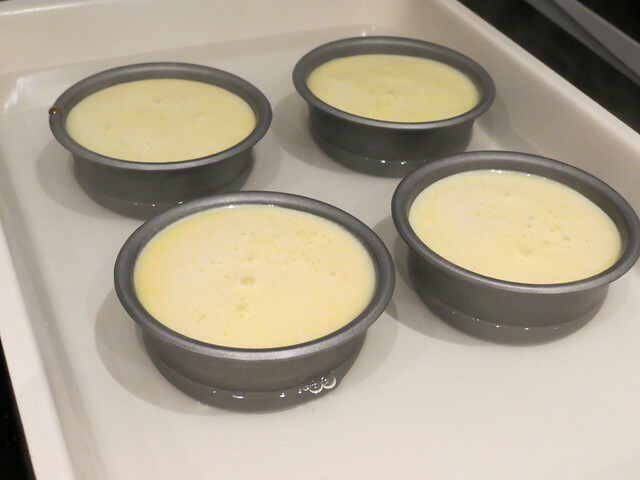 Place the pudding moulds in a bain-marie, or a water bath. 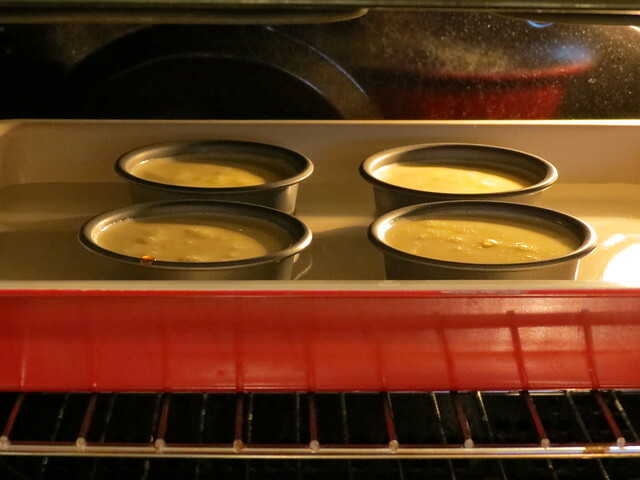 Bake for 40-50 minutes at 170 C.
When cooked, remove from the oven and place on wire rack to cool. When completely cool, refrigerate until ready to serve. 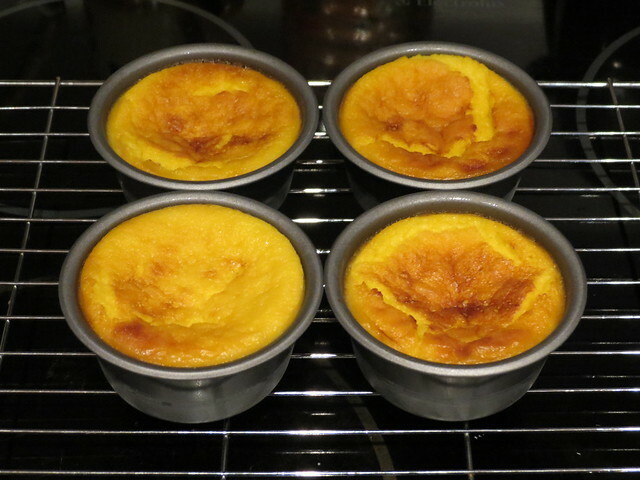 Kabocha Pudding – Happy Halloween! I’m taking a little cooking break now, but I’ll be back sometime next year with a new recipe! If you have any suggestions, or perhaps you would like me to try one of your recipes from a book or website, please leave a comment below or get in touch! All the recipes I try on this blog have some connection to Japan and, because I don’t eat meat, they need to be vegetarian or pescetarian. I’m particularly interested in helping to promote Japanese recipe books, so do let me know if you have one I might like!